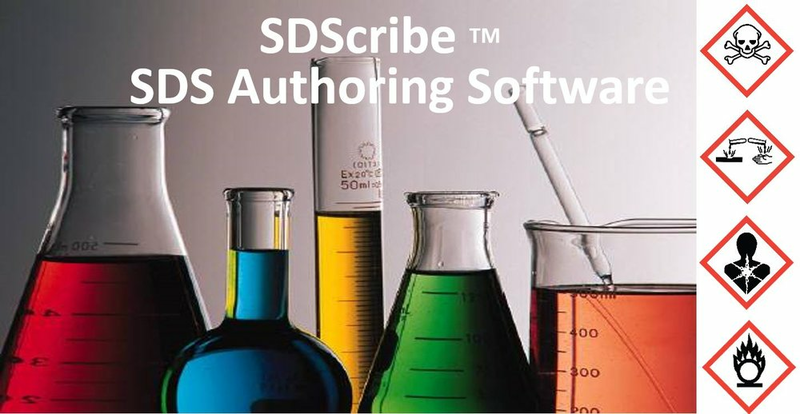 SDScribe™ is an affordable, easy-to-use software solution for creating your own OSHA-compliant Safety Data Sheets (SDSs) in GHS format. With our SDS authoring software, you enter product information under tabs that match the sixteen sections of a Safety Data Sheet. Press a button and watch the SDS appear as an editable word processing document! For the price that a consultant might charge to produce one or two SDSs, you can have your own SDS generator, for all of your products. Included in the product is a label generator for providing OSHA-required label text and pictograms. Also available is our Inventory and Production Manager for inventorying raw materials and finished products, product formulation, batch recipe preparation, and more. Create SDSs. Create labels. Create batch sheets. Download a 30-day free trial today. Only $795, or $1449 with the Inventory and Production Manager! SDS templates for common products such as cleaners, paints, etc., have typical content for many SDS sections, to save you time. You can also customize the templates or create your own. Suggestion Wizard helps classify mixtures, and can insert the associated hazard statements, precautionary statements, signal word, and pictograms. Guide Wizard walks you step-by-step through the process of creating the SDS, in a logical order. 1 Year email support included at no charge. Selectable GHS versions (US; Canada; UN rev. 3, 4, 5, and 6) with conversion when switching. Import/export components directly into/from SDS Section 3. Ingredient cutoff feature helps you select the ingredients you need to list. Smart/quick data entry forms help build raw material libraries. Print GHS-compliant container labels with optional ingredients and Prop. 65 warnings. EPA Safer Choice Chemical Ingredients list of over 1000 chemicals. Personal Care and Cosmetic lists: over 20,000 INCI, INN, EU pharmacopoeia names. COSING status information. Very affordable upgrade pricing available.